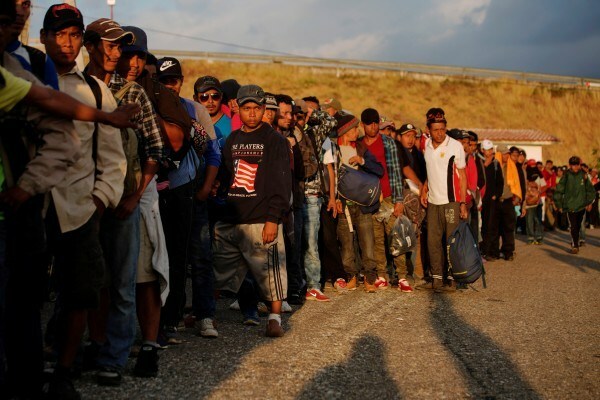 The more tolerant, even supportive, policy toward Central American migrants of the new Mexican federal government is encouraging a trend that had already reached alarming proportions. Migrants from the south are now freely being granted visas to work in Mexico while en route to a hoped-for destination somewhere in the United States. “If word gets out that people are able to get in [to Mexico] legally, to work, that creates a huge incentive for people who hadn’t thought of migrating,” said Andrew Selee, president of the Migration Policy Institute. With at least three caravans currently at varying points along the northward route, at least 10,000 migrants have requested visas at the southern Mexican border. Thus far, only 628 visas have been granted, resulting in a bottleneck in the south to match the bottleneck in the north, in Tijuana.